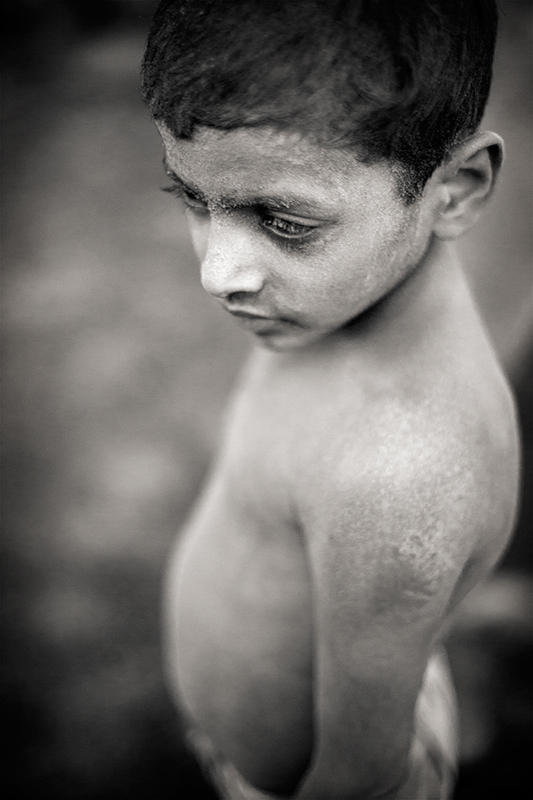 Taken at a Kushti Westling training session on the banks of the Ganga in Varanasi India. depth of field. To keep that intact, I applied a sharpening layer to the image, placed a mask over the adjustment, and then painted the sharpening out of everything except the young wrestler’s face and eyes.